Los Angeles, Calif. – Competent Motorsport, organizer of the Pirelli GT3 Cup Trophy USA, is pleased to announce a new partnership with Pacific Porsche as the Los Angeles-area dealership has been named the “Official Porsche Dealership” of the Pirelli GT3 Cup Trophy USA. Serving the South Bay since 1999, Pacific Porsche has a long record of innovation including having been the firstPorsche dealer in the United States to build an exclusive, ground up, Porsche designed facility. 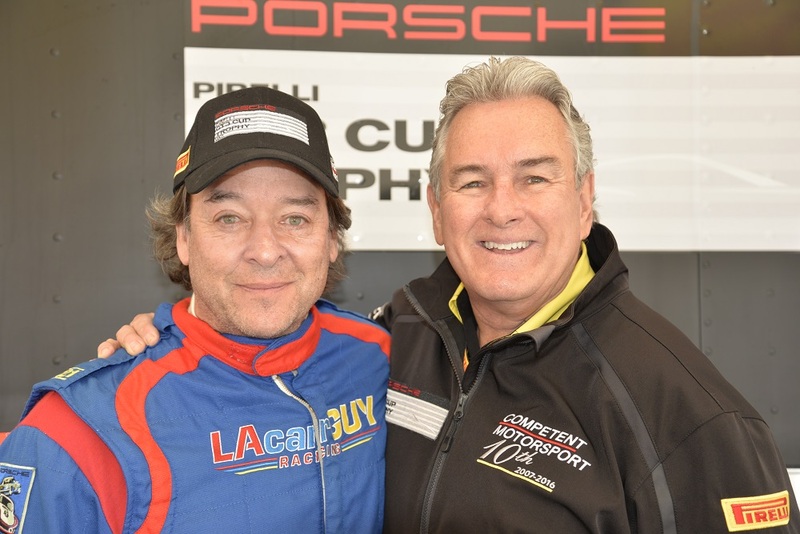 Part of the LAcarGUY family of dealerships that Pirelli GT3 Cup USA driver Mike Sullivan oversees, Pacific Porsche is proud to be one of only two Premier Dealers in Metro Los Angeles and one of only 25 in the entire United States. The sales and service staff live and breathe the Porsche, with several members of the staff taking that passion to the track as racers. As part of the LAcarGUY family of dealerships, Pacific Porsche is heavily involved in the community, charity and fun local events, including Heal the Bay, Grades of Green, the Boys and Girls Club, Manhattan Beach Pumpkin Races and the Hermosa Beach concert series. Mike Sullivan has actively taken his love of Porsche to the track for many years, and is looking forward to a productive season on and off the track in Pirelli GT3 Cup Trophy USA. Pirelli GT3 Cup Trophy USA is celebrating its 10th Anniversary season in 2016, and will stage Round 3 of the 2016 championship this weekend with a double-header at Mazda Raceway Laguna Seca. You can keep up with the series here, and get updates from Pacific Porsche here.